If anything can pump you up to save the planet, it’s music—but not just any music. Heavy, fist-pumping ballads and rock scores are uniquely powerful in honing spirit and vigour. Here are three of my favourite “headbang while planting trees” tunes. 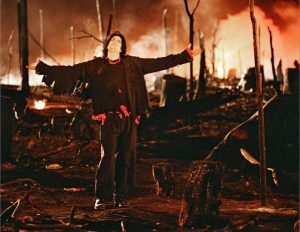 When I think “song about the environment,” Michael Jackson’s “Earth Song” is immediately at the forefront of my thoughts. The first time I heard this masterpiece was in 2010 while playing Michael Jackson: The Experience on the Wii. Among brutal lyrics asking, “Did you ever stop to notice all the children dead from war? Did you ever stop to notice this crying Earth, these weeping shores?” my 10-year-old self, adorned with an oversized bejeweled white glove, was just a little traumatized. Visuals in the game consist of lightning strikes, flying debris, and a vast firestorm engulfing the forest in the background. 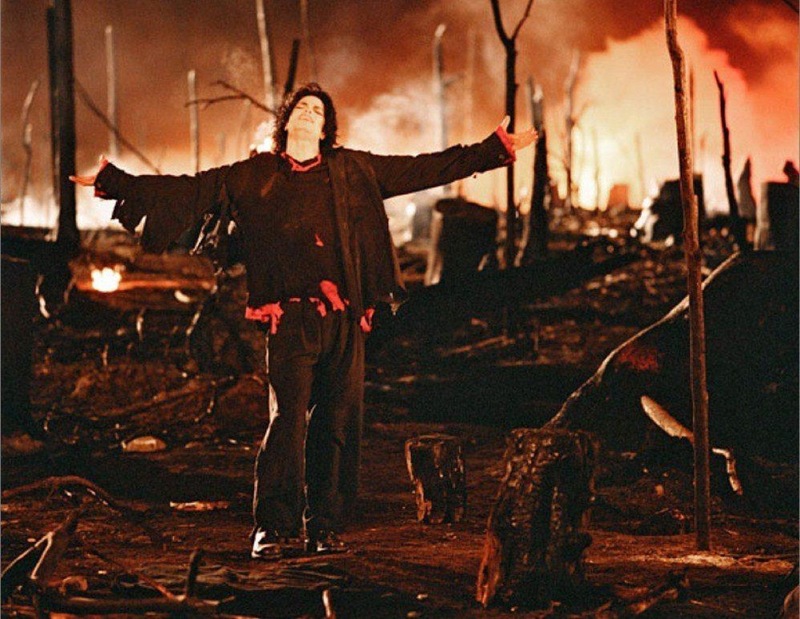 Amongst this chaos, Michael Jackson is shown screaming, pumping his fists, and falling to his knees, properly conveying the desperation of the ballad. The official music video looks much the same, highlighting animal corpses, villages suffering famine, and natural disasters. “Blood // Water” is a roaring rock song calling attention to greed and corruption in politics and corporations. The heavy sound is composed of screeching guitars, a focus on bass, and pounding drums, with the uncommon characteristic of electronic sounds driving the song forward. Grandson is the alias of Jordan Edward Benjamin, a Canadian musician. Artists such as Rage Against the Machine are easily identifiable as inspirations for the socially-aware content produced by Benjamin. Benjamin’s music is gritty and hard to chew, but necessary to swallow. The song’s blatant jabs at the government, while tying together the working class with “we” statements, easily split society in half. Now on a side, the high-energy song invokes vigour to do better as a civilization. Once humanity has gone too far in using up the Earth’s resources, we won’t be able to restore the ecosystem no matter how much money we throw at it. “Gods” is yet another politically-charged rock song. With less grit and more melodic tones, I can find myself dancing to this one. The central idea behind “Gods” is that we are already living amongst the gods of the next religion, which is fame and power. The entire song, with a repetitive chorus, makes you feel trapped in the tune, just as the lyrics cry of being unable to escape the people of power. Nothing But Thieves tells you that the gods are everywhere—polluting the air, in the cloud, on the television, and on all covers of the news. “I don’t understand why they need me / Why I feel like a flaw in the system / Why I don’t get a chance to resist them,” the lyrics impart. The song even touches on the lack of communication between the government and the rest of society, resulting in ignorance with regards to the decisions being made behind the scenes.